We are committed to ensuring that your information is secure. In order to prevent unauthorised access or disclosure, we have put in place suitable physical, electronic and managerial procedures to safeguard and secure the information we collect. We are required to keep certain types of personal information in order to fulfil our statutory obligations, such as financial records relating to purchases. We will hold your personal data on our systems for as long as it is in the gallery’s legitimate interest to do so. We review all personal data and our retention periods regularly to establish whether we are still entitled to process it. If we decide that we are not entitled to do so, we will stop processing your personal data however we may retain your personal data in an archived form. Our website may contain links to other websites. If you follow a link and leave our site you should note that we do not have any control over that other website. Therefore, we cannot be responsible for the protection and privacy of any information which you provide whilst visiting such sites and such sites are not governed by this privacy statement. You should exercise caution and look at the privacy statement applicable to the website in question. Any changes we make to our policy in the future will be posted on this page and, where appropriate, notified to you by e-mail. Please check back to see any updates or changes to our policy. 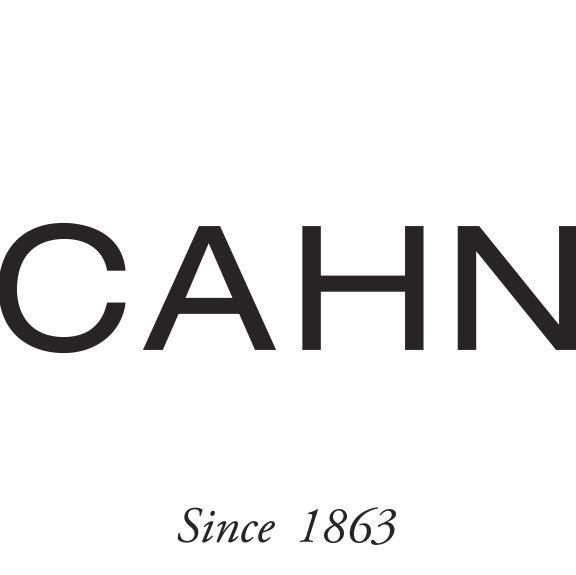 Please contact mail@cahn.ch with any questions or comments relating to this policy or our website. In order to be able to offer our web presence in a user-friendly, effective and reliable form for the visitors to our website, we use the web analysis service Matomo on the basis of our legitimate interests (i.e. interest in the analysis, optimisation and economic operation of our web presence pursuant to Art. 6 Par. 1 Letter f [GDPR]). Matomo uses so-called cookies. These are text files that are saved on your computer and that facilitate an analysis of the usage of the website by you. The information acquired in this way about the usage of this website is saved on servers of our website provider within Germany. Before it is saved, your IP address will be anonymised so that it is not possible to draw any direct conclusions regarding your person. Matomo cookies remain on your end device until you delete them. Apart from us and our website provider, no third party has access to these data. Our website provider has its registered office in Germany and is thus obligated to comply with data protection law. A contract for processing has been concluded with our website provider that regulates the processing of the collected and anonymised data. Our website provider uses this information on our behalf in order to be able to carry out technical maintenance services and optimisations so that the operation of this online presence remains safe and effective and in order to provide other services for us that are associated with the usage of this online presence and the Internet usage. You can prevent the saving of the cookies by a corresponding setting of your browser software; however, we would like to point out to you that in this case you might not be able to completely use all functions of this website. If you are not in agreement with the saving and usage of your data as described above, you can deactivate the saving and usage of the data here. In this case, an opt-out cookie will be stored in your browser that prevents usage data being saved with Matomo. If you delete your cookies, this will result in the Matomo opt-out cookie also being deleted. The opt-out then has to be reactivated again when you visit our site again.